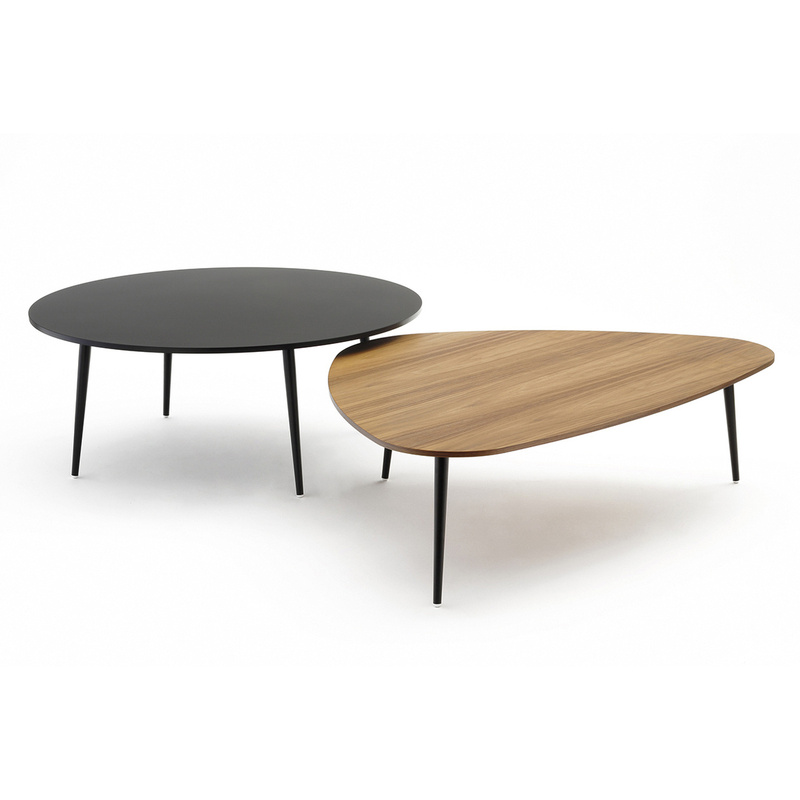 The triangular Soho coffee table by Coedition features a walnut veneer MDF top and metal legs. It provides a practical solution where you can place books, magazines, remote control, coffee cups and much more. 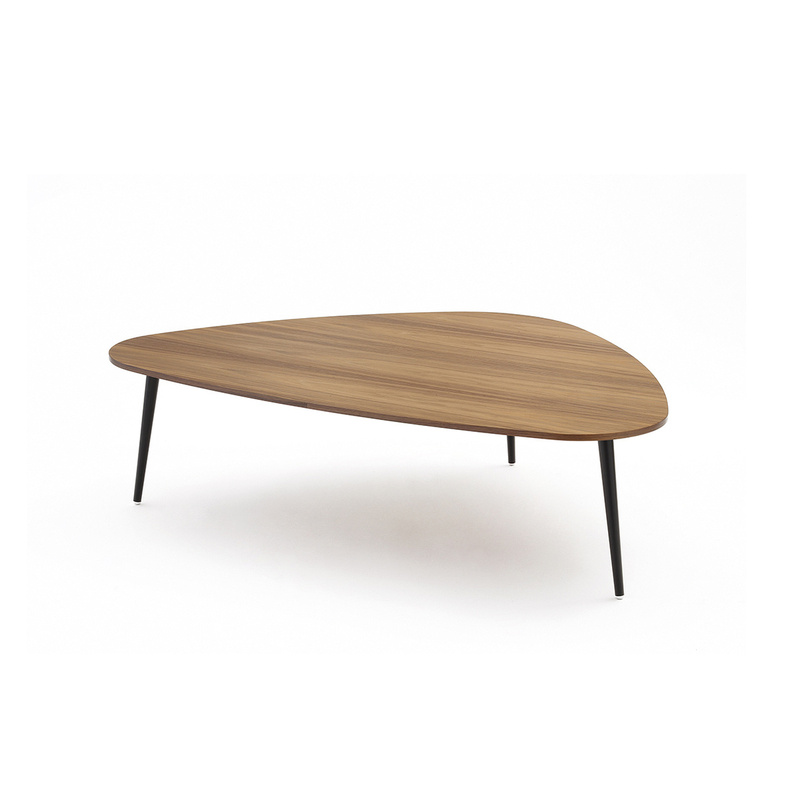 The natural warmth of walnut veneer will enhance any room, while its grains make each and every table unique. 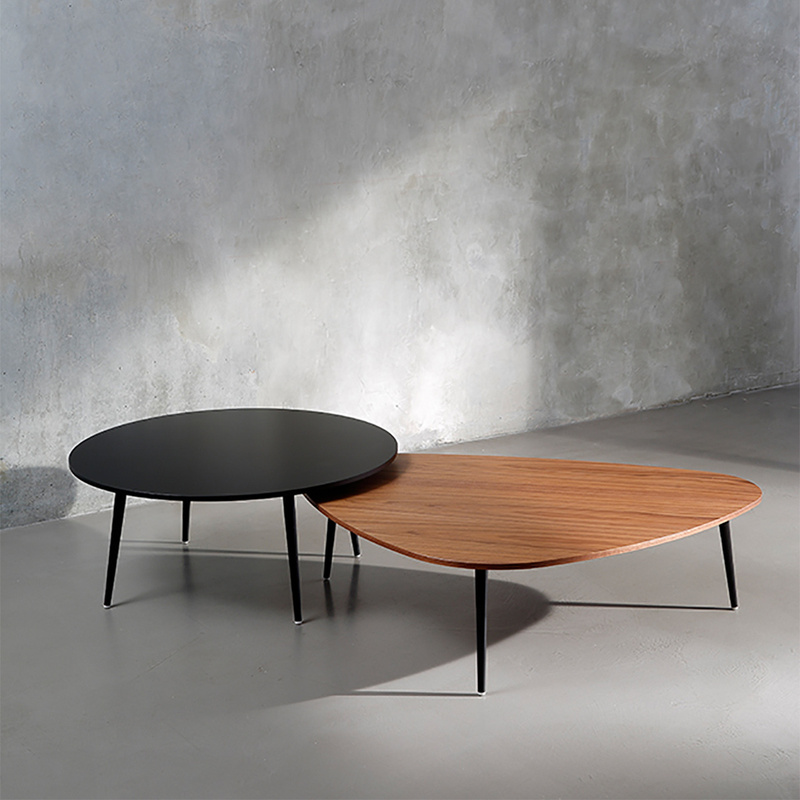 This table also has a decorative function. 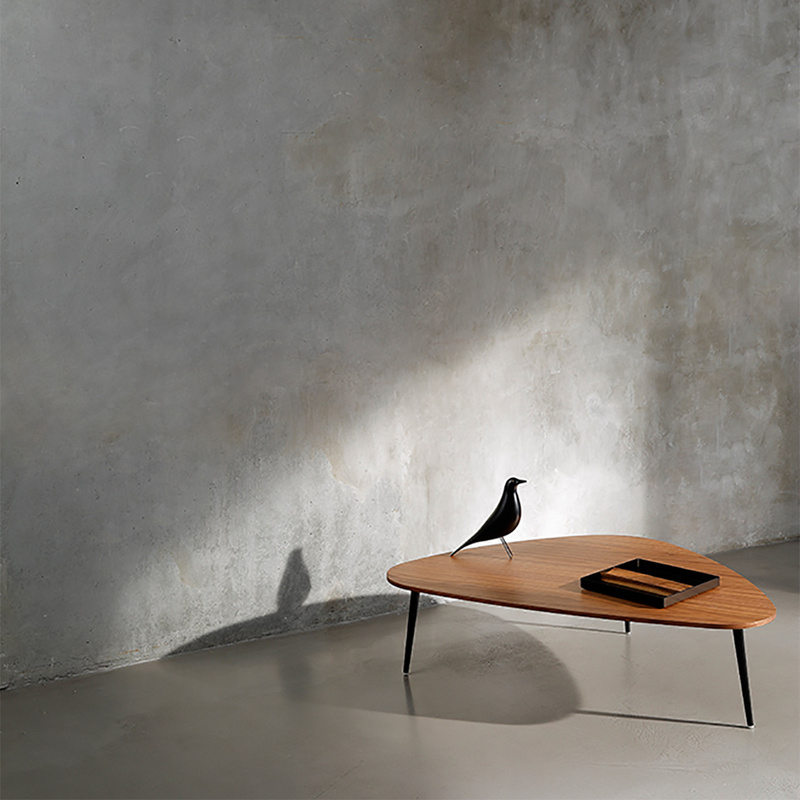 You can match it with other sizes and finishes from the same collection in order to create your own composition.